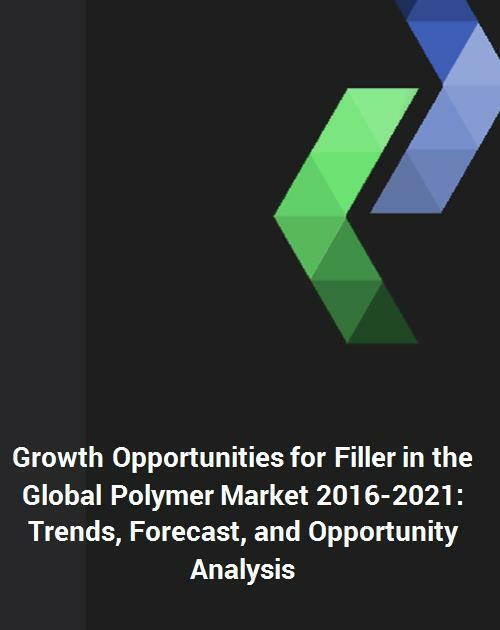 The future of the polymer filler market looks promising with opportunities in the automotive, building & construction, industrial, and packaging industry. Global polymer filler market is expected to reach an estimated $49.1 billion by 2021 and is forecast to grow at a CAGR of 6.3% from 2016 to 2021. The major growth drivers for this market are increasing demand for plastic and rubber in the automotive and construction industry, along with filler’s ease of availability and cost efficiency. Emerging trends, which have a direct impact on the dynamics of the industry, include growing consumption of nano-filler for polymers and a growing demand for lightweight plastic products for automotive applications. A total of 103 figures/charts and 107 tables are provided in this 174-page report to help in your business decisions. Huber Engineered Materials, Omaya AG, Imerys, Minerals Technology, and Birla Carbon are among the major suppliers of polymer filler. The author forecasts that salt is expected to remain the largest segment due to growth in demand for calcium carbonate in the plastic industry. Lucintel predicts that demand for carbon is likely to experience the highest growth in the forecast period supported by growing demand for carbon black in tire and molded rubber parts. Within the polymer filler market, automotive is expected to remain the largest end use industry due to the increasing demand for filler in tire and plastic parts in the automotive industry. The author predicts that the demand for filler in the packaging industry is likely to experience the highest growth in the forecast period supported by growing demand for plastic in food and pharmaceutical packaging. Asia Pacific is expected to remain the largest market by value and volume and is also expected to witness the highest growth over the forecast period because of increased automotive production and growth in construction and industrial sectors. Q.1 What are some of the most promising potential, high-growth opportunities for the global polymer filler market by product (salts, carbon, oxides, silicates, hydroxides, and metals), polymer type (thermoplastic, thermoset, elastomers), end use industry (automotive, building & construction, industrial, packaging and others), and region (North America, Europe, Asia Pacific, and the Rest of the World)?